When I asked Little A what kind of cake we should make for Jon's birthday he said immediately and emphatically "a coconut cream donut cake!". Jon and I looked at each other wide eyed, laughed and then smiled. Jon was definitely on board. 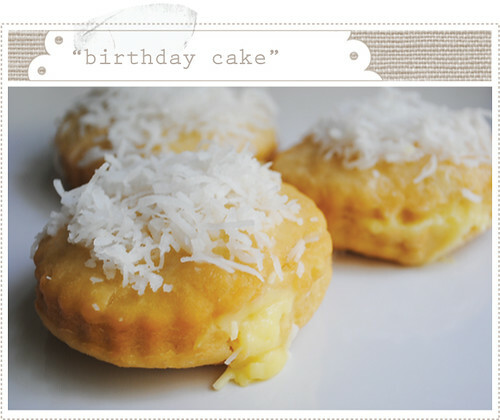 I thought I would have to make this "cake" up but we managed to find a recipe for "coconut cream donuts". 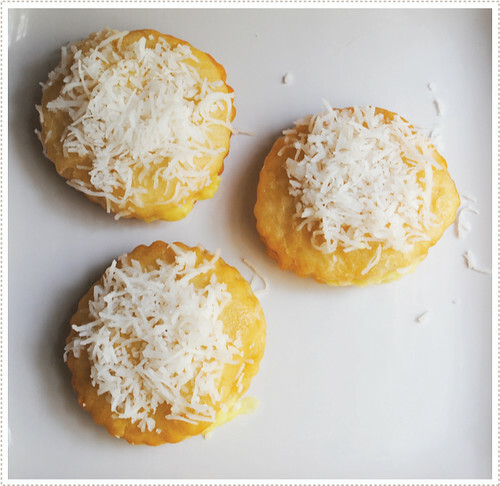 We couldn't find any coconut cream so we filled them with banana pudding (an interesting and yet still scrumptious variation). They took a long time due to all the episodes of risings required but they were very fun to make. I've never deep fried anything before and let me tell you it was especially satisfying dropping the dough into a pot of hot oil and then watching it brown and "inflate". My favorite was the donut itself just after cooling down a bit, with a little icing. Yum. 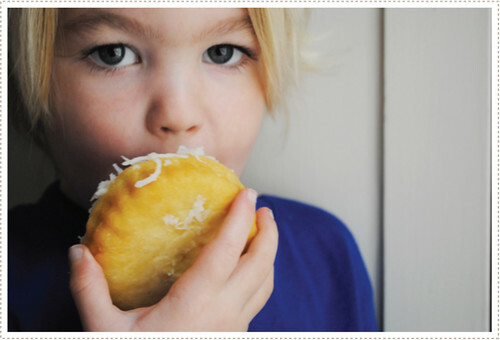 Little A was just all about the coconut and the icing on top (as was his brother). Jon loved the entire donut. I'd say it was a great alternative to the traditional birthday cake. Thanks Little A for the inspiration! I also thought I'd share another little gift I made for Jon on his day. I used an old typewriter that a friend gave me and wrote 34 different "titles" that Jon currently holds, such as "father", "actor", "friend", "teacher" and so on. I then turned them into little white flags and then stitched little flag poles with white thread. It was fun and simple way to celebrate Jon and all that he's accomplished thus far in his life. Can I just say I love birthdays? 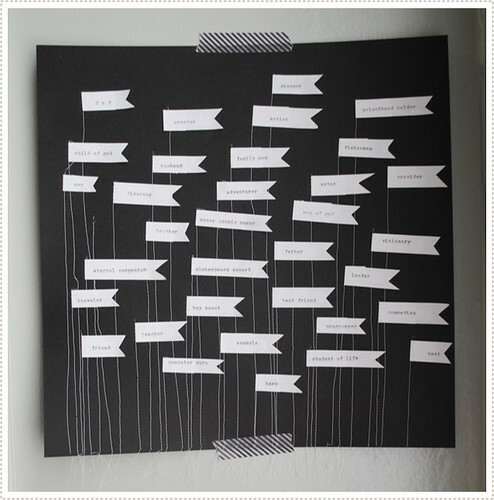 what sweet and thoughtful ways to celebrate! I love that even the little ones added inspiration. That flag artwork is gorgeous! Beautiful and original idea - oh and I love your blog!! Yes, yes! Typewriter, yes. Love the artwork for Jon. oh those flags are just too cute! I SO want to eat those donuts. And the flags - gorgeous! !